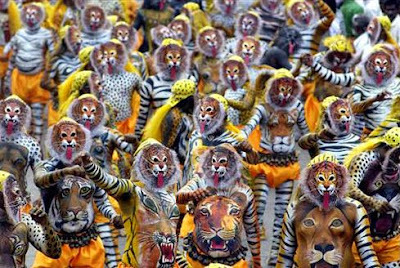 Check out these amazing photos from the Puli Kali Tiger Dance, which took place last week. 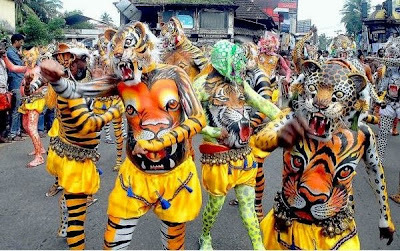 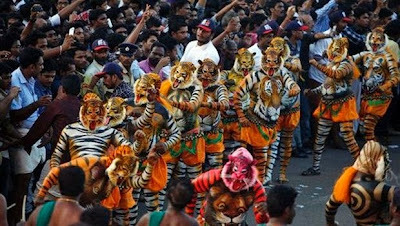 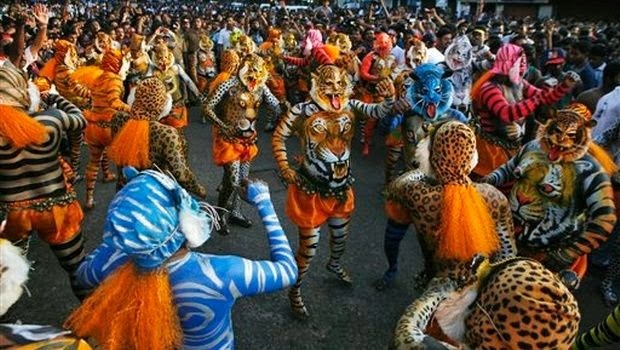 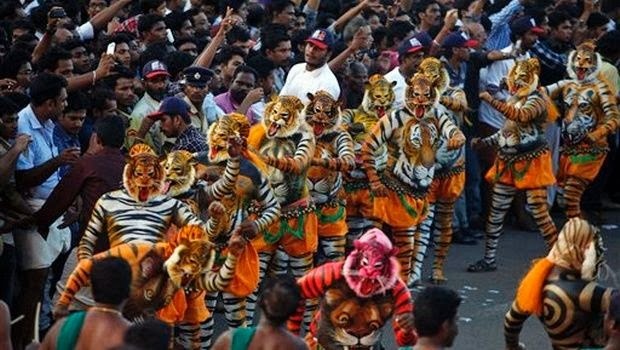 It's an annual festival in Thrissur in Kerala, Inida, in which performers dress up in tiger costumes with bright body paint and elaborate masks to celebrate the harvest. It looks freaking awesome. 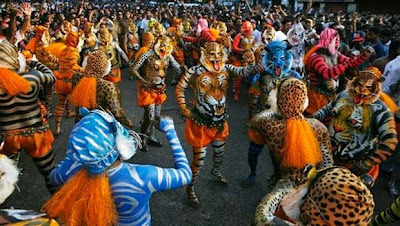 We would really like to go... Or maybe we could all get together next year and celebrate in the UK? 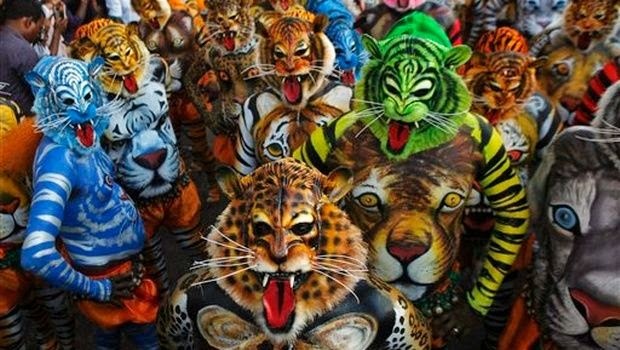 Let us know if you'd be interested.